Tender crispy pieces of golden fried chicken will always be a best seller on your menu. The tang of Mayo and roast peppers balance the flavours for this wrap option. Dust the chicken with flour, dip in the egg and then toss in breadcrumbs. Deep fry until cooked through and golden. Drain. 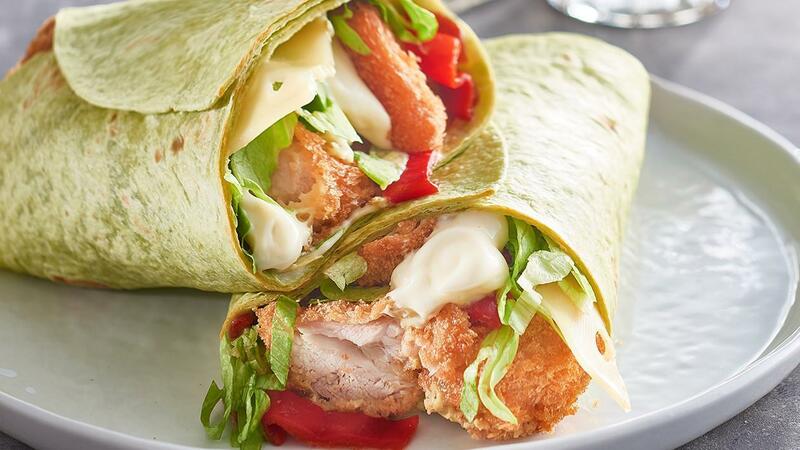 Fill the wraps with chicken, cheese, roast peppers, pesto, lettuce and HELLMANN’S Deli Mayonnaise. Roll up to enclose and serve. Try adding other flavours to the mayo like lemon and chopped chilli for a different flavour combo.